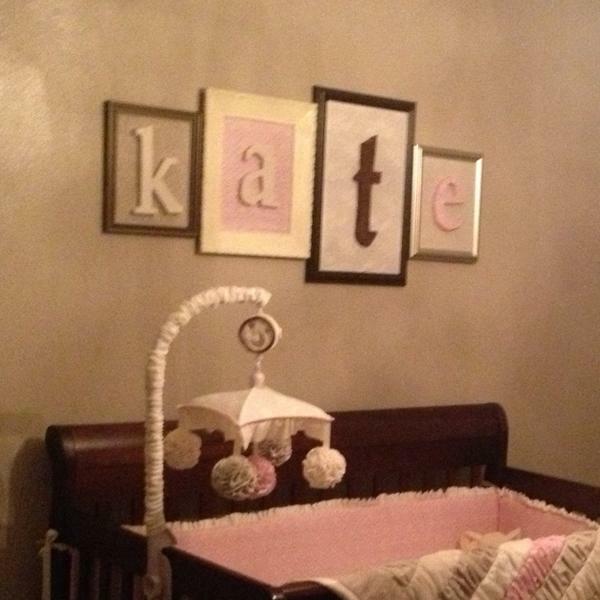 I wanted to add Kate's name over her crib but wanted to stick with the formal and girly theme I decorated the rest of the room with. 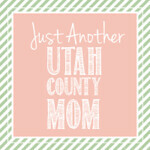 First I chose a font I liked and printed out her name using Microsoft Publisher. Then I cut out each letter. I traced each letter upside down (so the marker would be on the bottom of the letter and not show through the fabric). I used 1/2 inch foam board I found at Hobby Lobby. I cut out each letter in the foam board using an exacto knife and then used the leftover fabric I had from making the bedding to cover each letter and hot glued the fabric in place. I covered the back of each picture frame in fabric and used hot glue to secure that fabric in place as well. I got rid of the glass for each frame and then hot glued each letter to the framed fabric I had prepared. See my fully pregnant belly as I look down at her name? 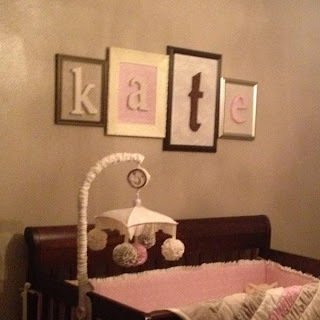 I didn't get around to finishing Kate's nursery until about a week before she was born.